Getting up early after sleeping on the coach and the floor at Chabriers, Jack and I took Tiber to the Almanor Recreation Trail. I ran a couple of miles on the trail, while Jack walked Tiber along the shore. After we got back to Chabrier' house, Yuli, Hunter, Jack and I went looking for a cup of coffee and sugar. Hunter found some at a store at Canyon Dam. From there, we put his boat in at the launch across the lake. I spent some time trying unsuccessfully to help Thomas and Matthew jump Chabrier's older Suburban. Eventually Hunter, Yuli, Jack and I went across the lake and had a leisurely lunch at Carol's. When we got back to Chabrier's house, Sharon had just rolled up. After visiting for awhile, Sharon and I ran over to pick up the key for the Chavez Cabin and stopped at the peninsula market. The Hunter boat and the Chabrier patio boat had gone out on the lake. 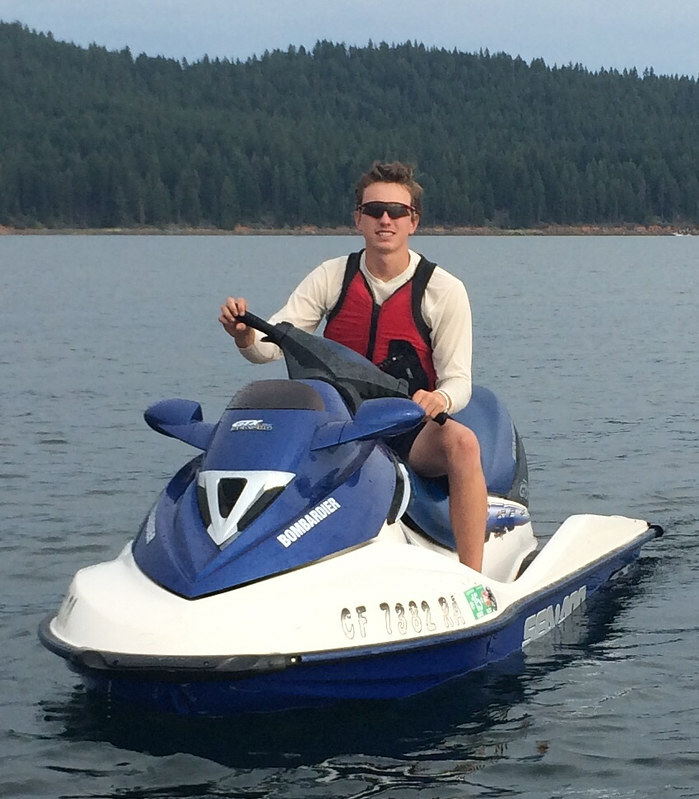 Jack and I ended up taking out the wave runners to catch up with them. The Tomasins made a great dinner of carne asada. It was probably one of the best dinners that we have ever had at Lake Almanor. Eventually, we headed back to the cabin, unpacked the cars and crashed.